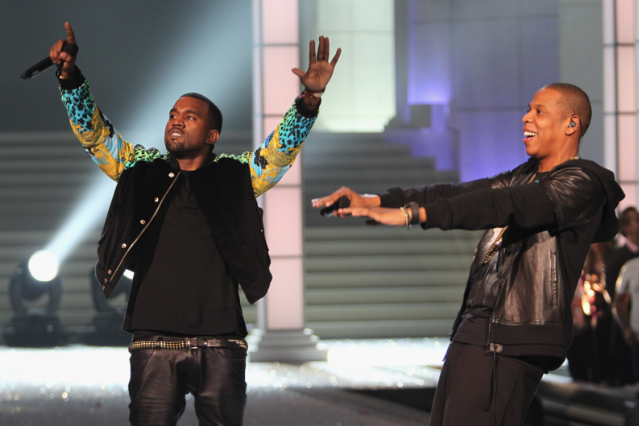 The 12th annual BET Awards nominees are officially out, and the Watch the Throne power triangle has the most nods on lock, BET president Stephen Hill announced at a press conference yesterday morning on a special edition of its show 106 and Park. Kanye West led the pack, raking in seven nominations, two of which (for Video of the Year, with “Otis” and “Niggas in Paris”) he shares with Jay-Z, who picked up five. Beyoncé, the First Lady (or Queen Bey, depending on degree of fandom) of music, pulled in one more than her husband, including Best Female R&B Artist and two spots in the Video of the Year category for her awesome “Countdown” and “Love on Top” clips. Big Sean also earned three nods, while Rihanna (who won Best Female R&B Artist last year), Usher, Bruno Mars, Mary J. Blige, A$AP Rocky, and Melanie Fiona all received at least one. The network has also snagged the world’s highest-grossing actor of all time/gazpacho fan as host, Samuel L. Jackson. The show will honor funk bandleader Frankie Beverly (of Maze) with a Cadillac Lifetime Achievement Award. Two of BET’s former winners — Nicki Minaj and, unfortunately, Chris Brown (again) — will both perform. The awards, which honor achievements in music, film, and (yes) sports, will be broadcast live on July 1, once again from L.A.’s Shrine Auditorium, on BET. For the full list of nominees, check the Awards website.